Please note that Oracle Psychology will be opening clinician schedules for 2019 on the below dates. We invite clients to call at their convenience to arrange bookings for next year. We encourage booking ahead for at least 6 months to ensure continuity of service. It is generally easier to book ahead and if your circumstances change we can remove appointments without any cancellation fee, as long as 24 hours notice is provided. Please remember that once appointments have been booked in with one of our Child and Adolescent Psychologists, it may be difficult to reschedule as the appointment time approaches. However, we will do our best to accommodate your needs. It is always helpful to discuss yours and your family's needs with the clinician and to seek feedback from the Consulting Psychologist assisting you to gain insight into how often it will be helpful for you to attend. The clinician providing treatment is the best person to provide this advice and to explain their treatment plan in more detail. This can be discussed during your appointments with the Psychologist however, all appointments need to be scheduled via reception. Please call our office on 02 4929 2223 to make arrangements for 2019 at you convenience. For more information regarding our full range of services please click here. Also free to read some of our informative articles while you are visiting our webpage. The most important thing parents can teach teens when learning how to drive is how they can stay safe on the road. As featured in an article ‘Driving Lessons and Road Safety Tips for Teen Driving’ for NSW Compensation Lawyers on driving safety tips for teens, our expert psychologists at Oracle Psychology know how to work with teens, to help ensure safe practices develop. 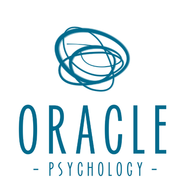 As Principal Psychologist and Director of Oracle Psychology, Mr Daniel Wendt, along with our team of qualified child and adolescent psychologists, offers expertise to assist with children and young people. We work closely with families in the Newcastle, Hunter and Central Coast regions of New South Wales to ensure wellbeing and successful outcomes. Mr Wendt advises that teaching teens how to drive can be a daunting experience, not just for teens but for parents as well. However, this step towards independence marks a rite of passage, whereby parents should encourage and share in their child’s excitement while promoting road safety. Leading by example is at the top of these safety tips, as education by experience is a strong method for learning new skills and responsibilities. When you demonstrate road safety every day, you show your child the importance of being calm, in control and alert while driving. It’s suggested that you take the time to praise successes throughout the learning process, with emphasis on your teen's ability to accept responsibility. You can enhance this by pointing out things that you look for when driving and encouraging discussions around this. Young drivers should imagine they’re in someone else’s shoes when driving and picture everyone on the road as a loved one. No one wants their mother, father, brother or sister to be in danger on the roads, therefore driving in this way increases an overall sense of responsibility and alertness. Finally, one of the most important tips is to always plan ahead, especially as teens generally reach drinking age at the same time as receiving a license. Though it’s perfectly normal to have fun with friends, it’s vital to ensure teens are prepared to leave the car at home, if the activity involves drinking. When you lead by example and offer positive encouragement, your teen will start their driving career fully equipped with the knowledge necessary to stay safe on the roads. Self-harm is a behaviour that can cause a lot of stress and worry, both for the person exhibiting the self-harm, as well as the people who care about them. It can be confronting and upsetting for a parent to see cuts or scratches that their child has inflicted on themselves. Psychologists can often see individuals with self-harm behaviour. This may range from superficial scratches on an arm or leg, to more serious cutting, burning or self-poisoning. Self-harm is a phrase used by clinicians who work with adolescents and others. The phrase deliberate self-harm has been used to describe self-injury which may or may not include a suicidal intent. The Diagnostic and Statistical Manual of Mental Disorders (2013) defines self-harm as “nonsuicidal self-injury”. Although this definition is based on the idea of no suicidal intent, this does not exclude the fact that at times the individual can have suicidal thoughts, or even attempt suicide. Anecdotal reports suggest that self-harm has increased significantly over the past few years, and the number of hospitalisations for self-harm has notably risen in Australia during the past decade. However, some self-harm behaviour does not require medical intervention, and not everyone who self-harms will go to hospital for treatment. One study found that only around 10% of self-harming adolescents they surveyed had attended hospital for treatment. One Australian study found that nearly three times more females than males aged 15-24 years were hospitalised due to self-harm. Although rates of self-harm tend to be higher in adolescents in comparison to adults, both males and females, and people of all ages, can self-harm. The main form of self-harm appears to be cutting of the skin, with reports that 70% of individuals use this technique, with others citing self-poisoning (such as overdosing on medication). Self-harm can also be scratching the skin, hitting a part of the body on a hard surface or punching themselves. Females tend to use cutting and scratching as their main form of self-harm, with males more liable to hit or punch something. Self-harm has been called “attention seeking” behaviour, however this is rarely the case. Individuals who self-harm cite various reasons as to why they do it, including escaping a negative mood, managing stress or self-punishment. For adolescents, it is thought that the main function of self-harm is to help them to manage their emotions. Unfortunately, some individuals choose to self-harm as a coping strategy, however any self-harm constitutes a safety risk to an adolescent’s physical and mental health and so needs to be taken seriously. Be patient and remain calm. Attend to any injury. The person may require first aid. If you are worried, take them to hospital. Take it seriously. Rarely is self-harm about getting attention. Be open about talking about it. This helps to build trust in your relationship. Acknowledge the small things as change may take some time. Validate and encourage – let the person know that you hear them, that this is painful and takes courage to talk about this. Take care of yourself. It can be tiring and difficult to provide support to someone who self-harms. You won’t be able to help them if you don’t take care of yourself first. Seek help from a professional, such as a psychologist. This allows the person to gain other, more helpful strategies to manage their emotions. Encourage the use of the Kids Helpline (1800 55 1800) and Lifeline (13 11 14) as a free 24 hours service on landlines to access support. We are more than happy to be contacted for further information or to schedule appointments on 02 4929 2223. Many parents find bedtime one of the most difficult parts of the day. Children often want to stay up “just a little longer” and this tugs at the heartstrings of their mums and dads. Even more complicated are times when children express anxiety at night and seem scared to go to sleep alone. It can be easy to fall into a habit of laying with your child until they fall asleep or to allow them to sleep in your bed. While short-term this may seem like a quick fix, in the longer-term it can affect spousal relationships, family routines and the child’s confidence. It can also implicitly send the message that they are not safe without you with them. While children may go through short developmental phases of being scared to sleep alone at night, when these difficulties persist or become excessively frequent and distressing it may be time to intervene. The age of the child also comes into play when considering how much of a concern the anxiety has become. Ultimately, it is important for children to feel comfortable sleeping in their bed by themselves. After all, their own bed in their own home is really the safest place in the world. If a child doesn’t feel safe in their own bed it can be difficult for them to feel confident elsewhere. If you have decided to help your child overcome their night-time fears, one of the most important things to assist them to sleep soundly alone in their own bed is to send the message that it is safe. It is really important that you encourage your child to confront their fears with some initial gentle reassurance. Try not to be overly reassuring as this can come across as anxiety provoking. That is, it may seem to your child that you are trying too hard to encourage them, so it must be really difficult to do. Be mindful of your body language, tone of voice and the words you use. Project calm and remain poised when you communicate with your ‘little one’ and they will share in your confidence. Using a reward system can be helpful to encourage them to challenge themselves. For example, a jar with shiny stones (purchased from a discount store) which you give your child for being brave. They can start earning them for staying in their bed all night by themselves or by doing other things they are not confident with. Remember, the bad thing about anxiety is that it can spread. However, the wonderful thing about confidence is that it will certainly spread. Reassure your child initially by explaining “Mum and Dad would never ask you to do something that’s dangerous. We know our house is safe and so is your room. It’s important that you show yourself how brave you can be by sleeping in your bed all night. When you do this you’ll get a ‘brave stone’ to put in the jar. Once the jar is full you will get a special reward”. Try and find something that will really motivate your child to overcome the fear based on their interests (e.g. going to the movies, trampoline park, laser tag, etc.). When night-time comes it is important to continue to project calm and confidence. This can be extremely difficult if your child is distressed. However, remember that they will draw on your approach to the situation and in time will adopt the same level of composure, by learning from watching you regulate your own emotions. Try and establish a soothing and consistent bedtime routine (e.g. have a bath, read a story in bed and then sleep time) and give them directions with certainty. For example, “It’s sleep time now. I love you and I’ll see you in the morning” then leave the room peacefully as if all is going to plan. It’s up to you if you let your child come in to your room if they wake up in the middle of the night or keep coming out of their room. This is okay, however, it is extremely important that they then be calmly redirected back to their bed and that you are persistent with this. At that point ask your child “What did Mum and Dad say about overcoming you fears?”. It’s important that you assist your child to come up with the answers through prompting rather than giving them the responses. You need them to internalise their own self-talk that “Mum and Dad know my room is safe and there’s nothing to be afraid of. The noises outside are just normal night noises like birds, cats and cars going by”. As difficult as it may be (and as much sleep as you may lose) you need to make sure that your child sleeps back in their own bed after they wake up. This may cost you sleep to begin with but it will save you a lot in the long run. These strategies will be helpful in assisting you to address your child’s night-time anxiety. However, some children and families may require professional support due to more extreme or persistent difficulties. If you would like to seek advice or support in regards to your child’s anxiety please contact us today on ﻿02 4929 2223﻿. Our experienced and qualified Newcastle based Child Psychologists can assist. Newcastle Child Psychologist Daniel Wendt discusses parenting, emotion coaching and children.